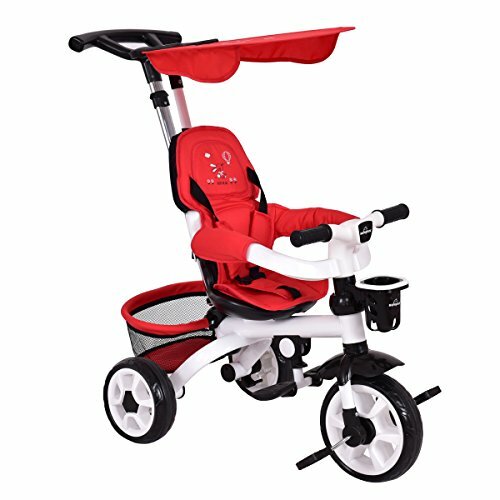 4 in 1 Multifunctional Design: This tricycle offers 4 ways for children from 10 months to 5 years old to ride. 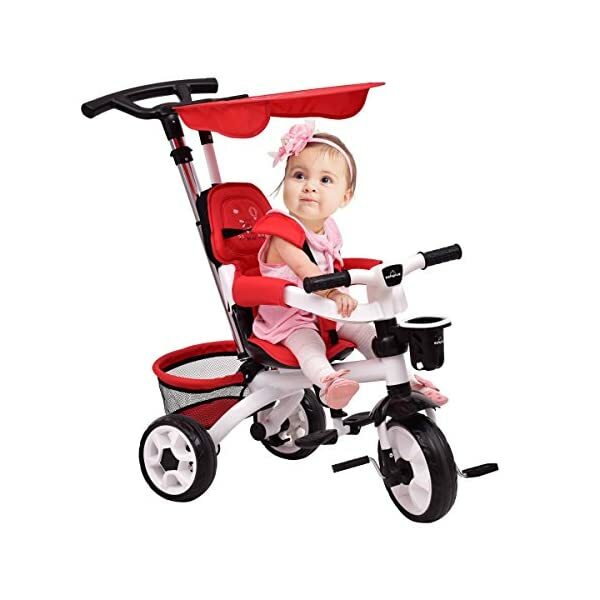 It can act as an infant tricycle, steering tricycle, learn-to-ride tricycle and a classic tricycle for a long-term use to accompany your child’s growth. 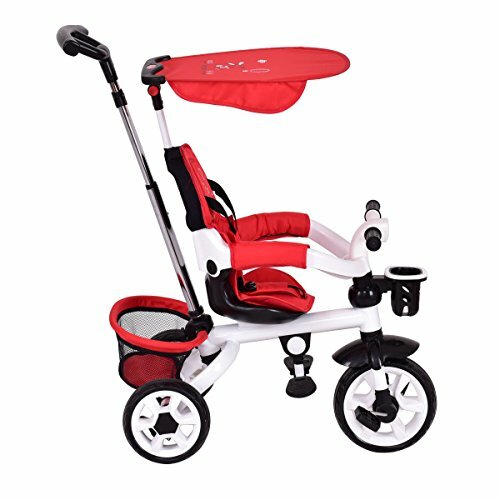 Adjustable and Removable Push Handle: The push handle is designed for parents to control the tricycle and spend parental time with child. And the adjustable height can fit various basement to keep you in ease. 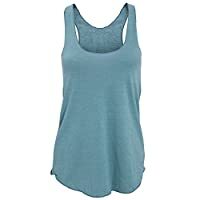 And it can be removable to make your child enjoy his own leisure time. 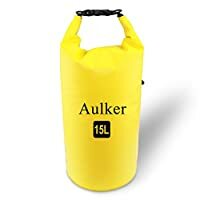 Adjustable Sunshade Canopy: With a sunshade canopy, it can block UV out to protect your child from the effect of bad weather. 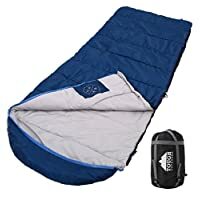 And the angle of the canopy is adjustable to adapt to the direction of sunlight and protect your child timely. 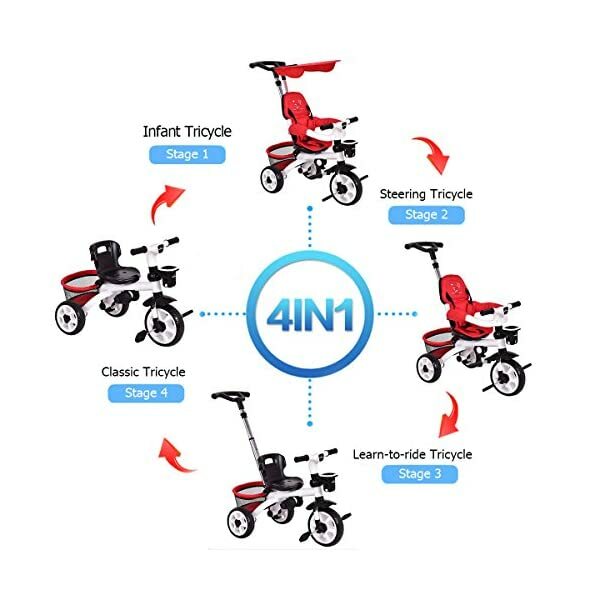 Functional as it is, the 4-in-1 tricyclecan be assembled in 4 ways according to your kid’s age. 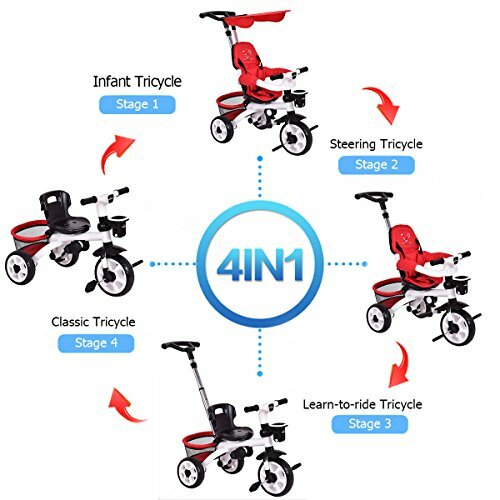 The tricycle offers 4 ways to ride,accommodating kids from 10 months to 5 years. 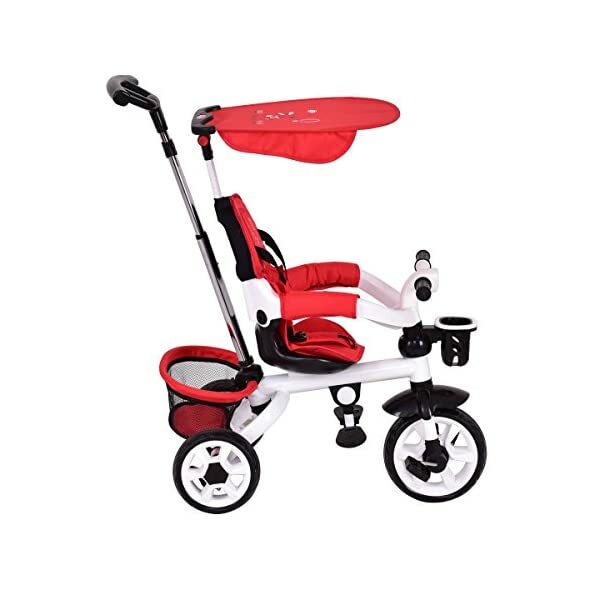 The sturdy steel frame andadjustable seat ensure a reliable use in the long term. 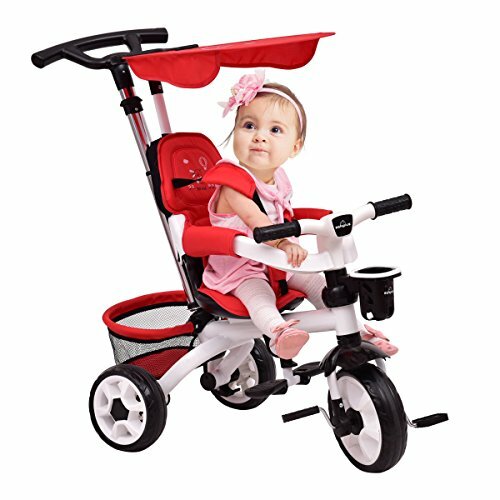 It can easily convertsfrom a stroller to a steering tricycle, a learning-to-ride- tricycle, andfinally a classic tricycle. 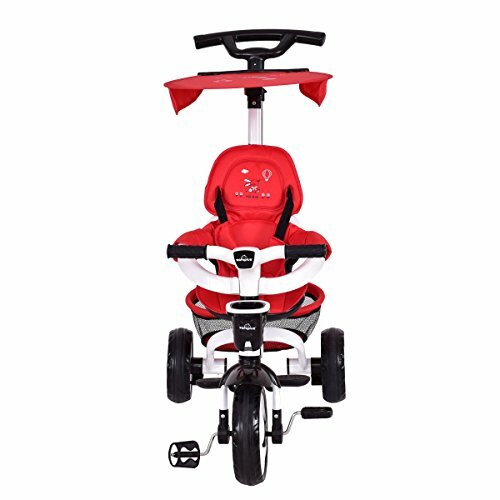 There are several safety features as highlightdesign of the tricycle which includes removable cushion with safety belt, guardarmrest, and safety tray with cup holder. 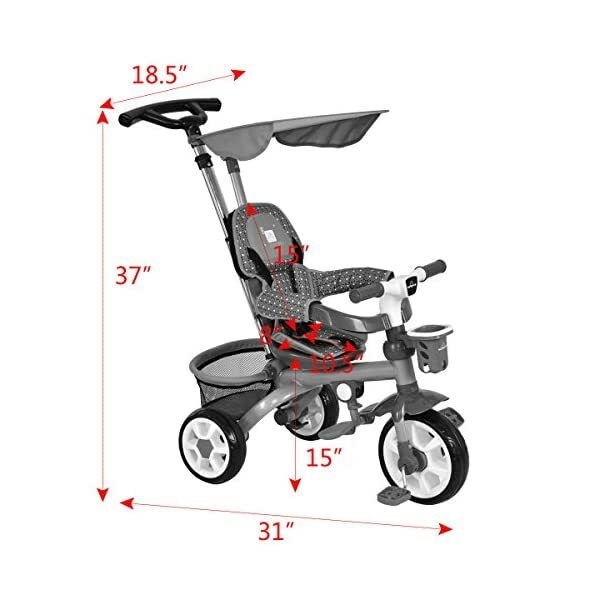 Besides, the angle adjustable pushhandle helps control tricycle’s movement. 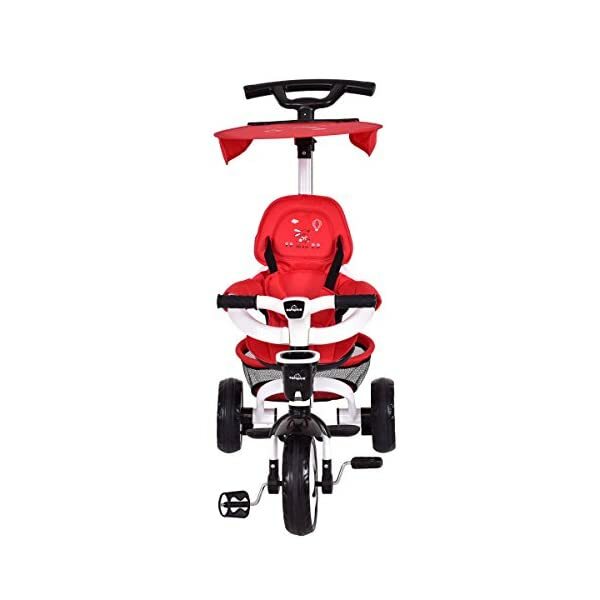 The push-handle and canopy could be removedfor a convenient riding. Don’t hesitate to buy one for your kids! 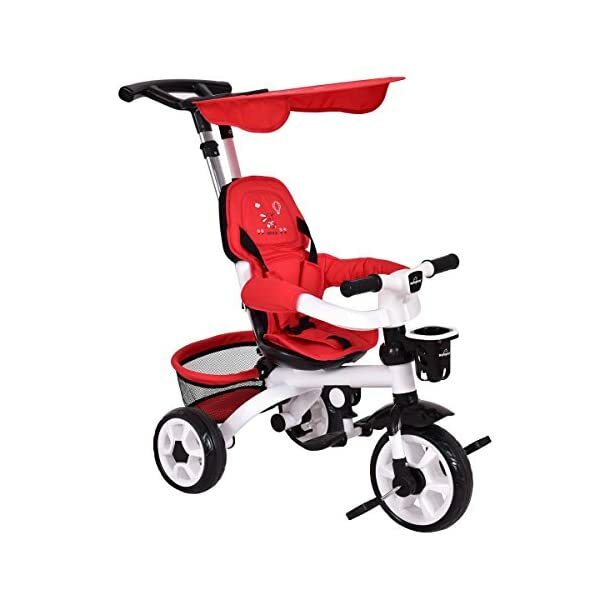 With Enough Safeguards: Equipped with a guard armrest and a 3-point safety belt, it is safe enough for your child to ride on the tricycle. 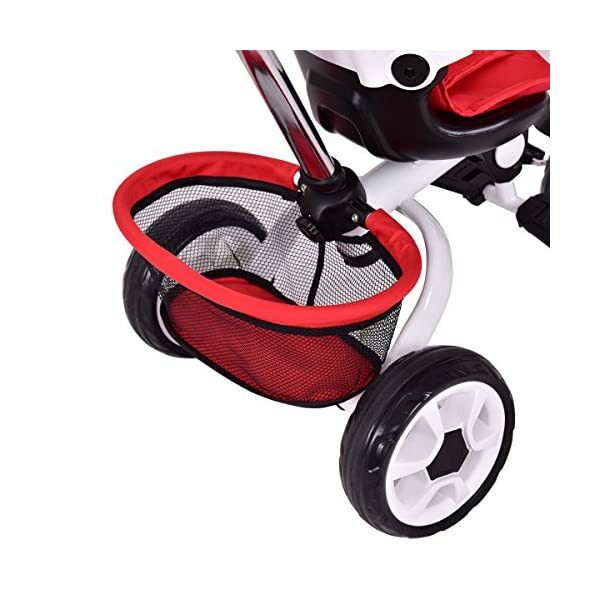 The 3-point safety belt can keep your child safe while making him feel comfortable. 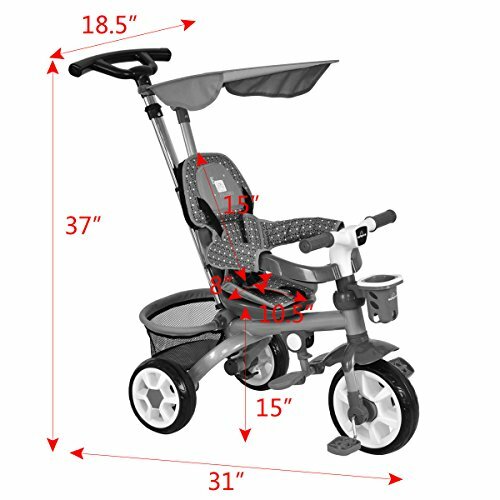 And the armrest gives your child a security measure by keeping him from slipping down. 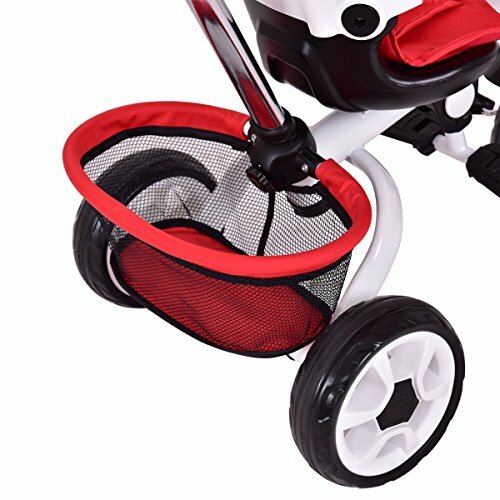 With Cup Holder and Storage Basket: Designed with a cup holder, your children can drink water when tired. 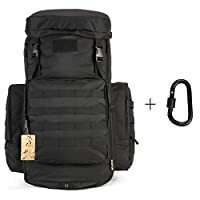 And there is a storage basket in back to store something needed frequently and keep your hand free when spending outdoor time.